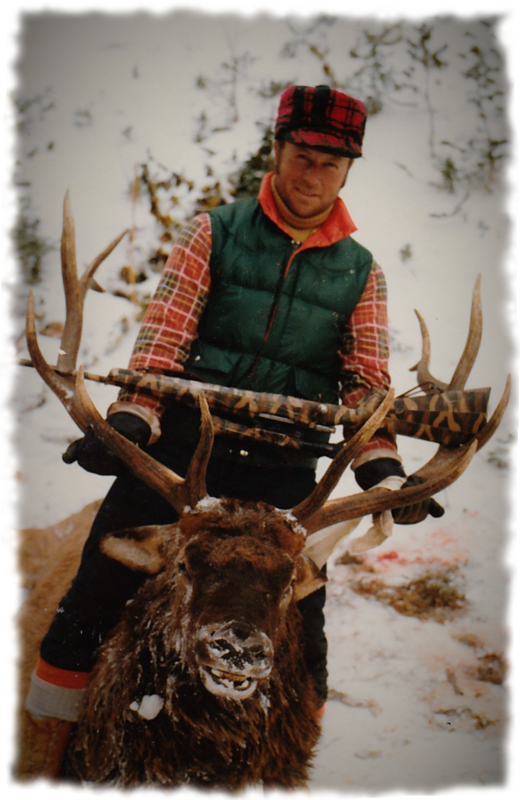 Join us for a 7-8 day hunting adventure of a lifetime. You'll take an 21 mile pack train from our main lodge to our permanent tent camp (about 6 1/2 hours). You'll stay in comfortable, spacious wall tents with wood fueled heaters and be served excellent camp meals by your camp cook. 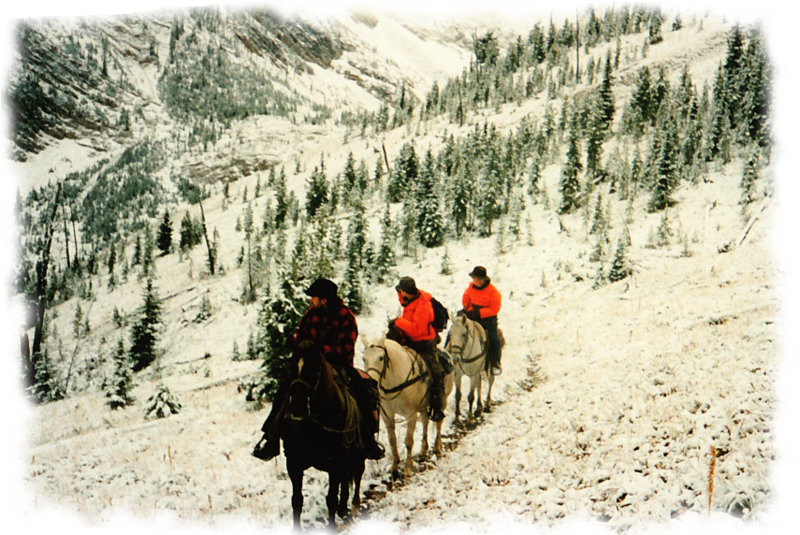 There is good hunting within a short walk from camp, but horses are usually used to carry you to the day's hunting area. 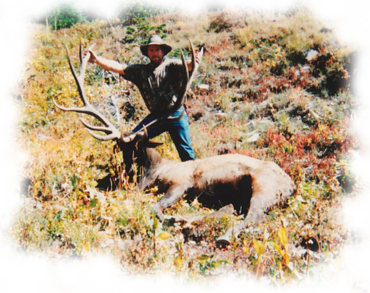 An experienced licensed guide will accompany you each day of your hunt to assure the success of your hunt. Our packer will transport your game to cold storage complete with cutting and shipping instructions. Our guides are excellent game handlers and will take care of your game until it is packed out and delivered safely to a meat shop. 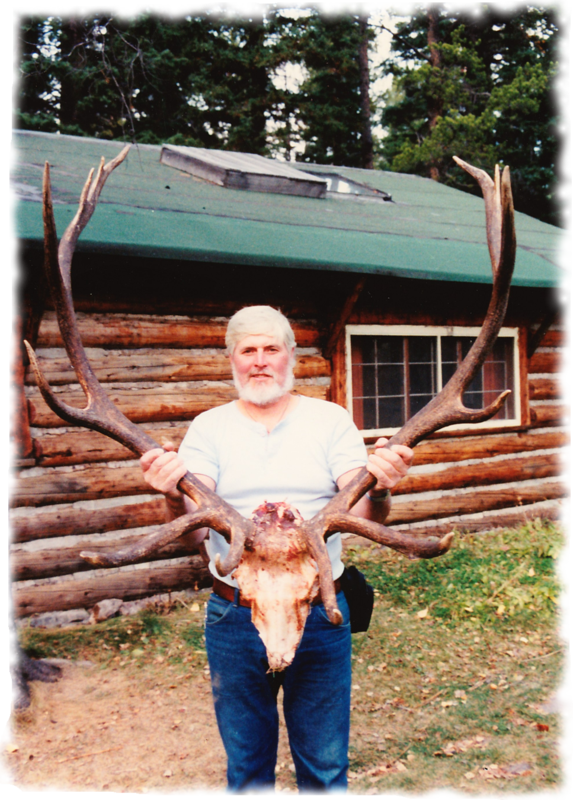 Somewhere in the vast wilderness of Montana, there's a trophy big game animal waiting to match wits with you! Lodge "Public Land General Season Migration Hunts"
We also run all inclusive choose your own days guided hunts out of our main lodge and guest cabins. There is high quality hunting right at the ranch. 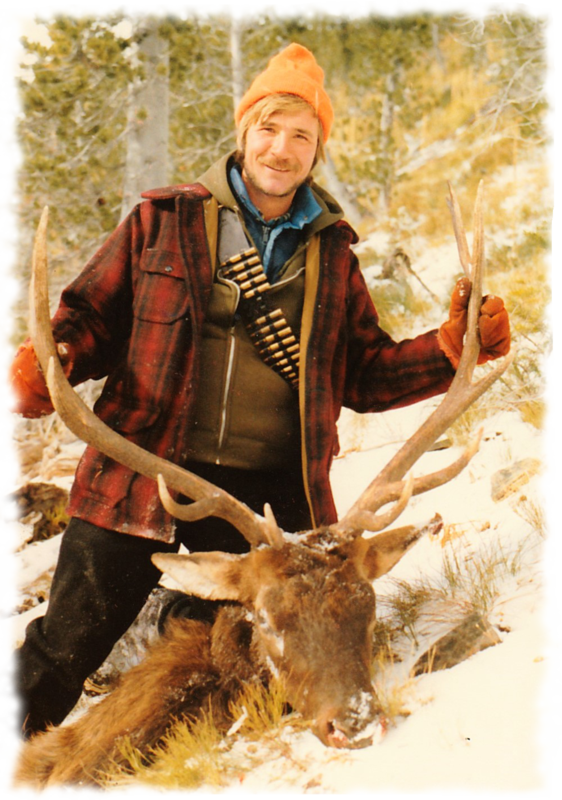 It is public land, but there is still excellent hunting to be had. You and your party will stay in our cozy guest cabins, and be served fresh cooked meals every morning and night of the hunt. 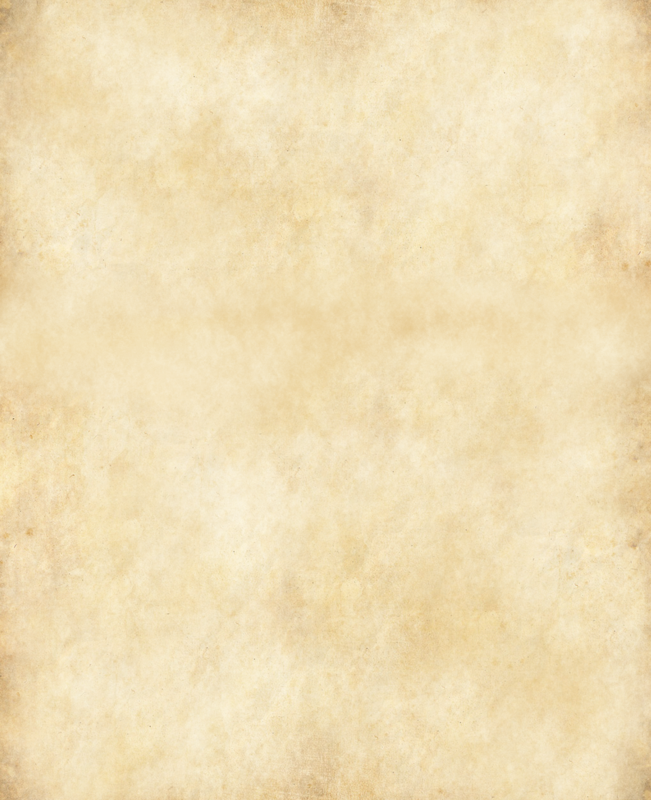 Sack lunches will be provided for each days hunting endeavors. You will be provided a licensed guide and a gentle riding horse to carry you to and from the hunting area. The rut is over and all the elk are starting there migration. There will be lots of glassing from high vantage points, and lots of country will be covered to ensure finding you a mature animal. 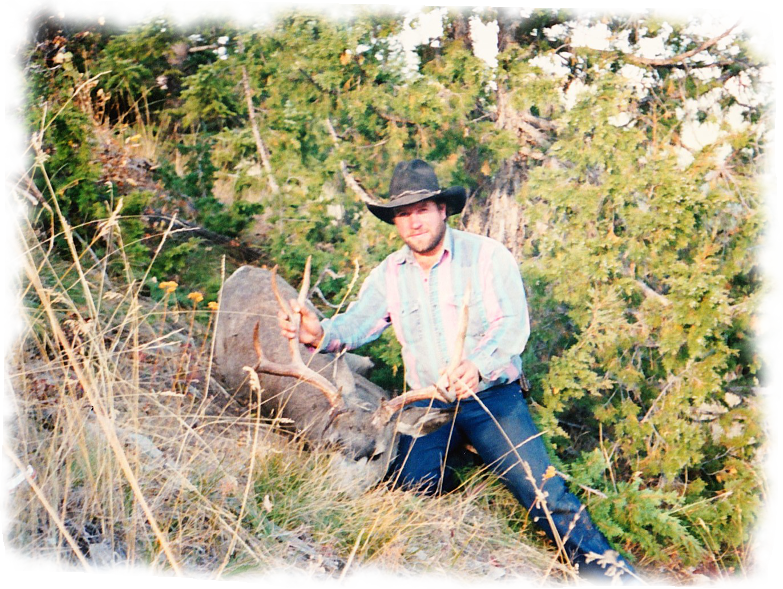 After a big buck or bull is harvested, it will be packed back to the ranch, and taken care of however you desire.